Hi! I'm Beatrice the Biologist. I'm a former high school biology teacher who simply loves to talk, write, and read about science. I'm asking people to give a few dollars per comic. At most, I do one comic per week, so about 4 per month. It might be less during the holidays or when I'm unable to do a comic, but it will never go over that. If I were to do extra comics, you would not be charged for them. Seriously, I promise not to go on some wild comic-producing binge. That's not my style. One comic per week is the dealio. I started Beatrice the Biologist five years ago to write articles and draw comics about commonly misunderstood science concepts. I now post a new science comic about once a week, and I've been lucky to connect with readers all over the world. I always try to make content that speaks to science-lovers and science-phobes alike. 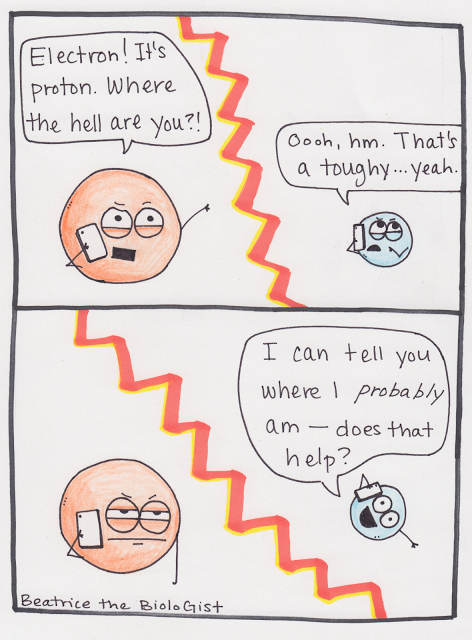 If the comic is about a science concept you happen to know, you can giggle at it, and if you didn't know, you giggle while you learn something new. 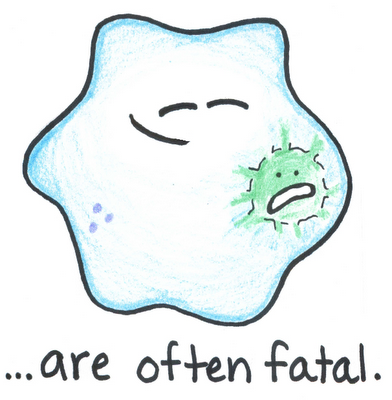 I'm hoping to be able to support myself full time on income from my Beatrice the Biologist work. This will not only allow me to make higher quality comics, but it will give me the time to do more outreach to teachers and develop fun content specifically for middle school and high school science students. Here are a few examples of my work. See more at www.beatricebiologist.com. You'll get an email from Patreon with my comics 1 day before the rest of the internet sees them! After 5 new comics, you will get a patron-only Beatrice the Biologist e-present of some sort: a bonus comic, a printable lunch bag puppet, a video of me doing science dance moves, other random stuff I think of later, etc. Receive an email with my comics 1 day before the rest of the internet sees them! After 5 new comics, you'll receive a mailing from me! Sometimes it will be a signed print, and other times you'll get merch like a magnet, button, sticker, and other amazing things! Wow! 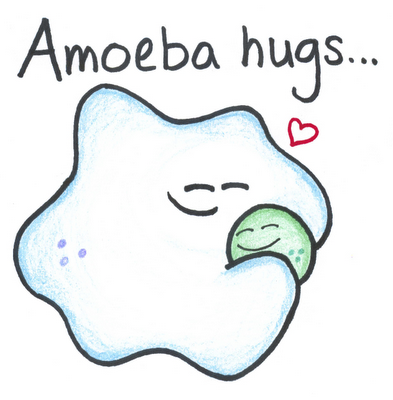 You will also get a patron-only Beatrice the Biologist e-present: a bonus comic, a printable lunch bag puppet, a video of me doing science dance moves, other random stuff I think of later, etc. At this level I'll have the ability to launch a sister website with content specifically for middle school and high school teachers and their students. This will include informative comics, lesson plans, and articles.